I am eager to share with you the contents of this feature article concerning the cross of Christ. Maybe you have already seen this view of the cross in your own studies and if you have then we can rejoice together at the wonderful love of God and His Son. If you have not seen this before then I am praying you will be granted the grace to see the cross with new eyes. As I have been contemplating these things over the past 18 months there has been a growing realisation of how much Christ not only suffered 2000 years ago in the flesh but continues to suffer in the Spirit. His self denial on a daily basis causes me to bow my head and worship with adoration. The article is at the link below, I share it with you in hope that we shall all be drawn more deeply into the love of God through the cross of Christ. From the end of August until the middle of September, we had the joy of conducting an evangelism training program in which we shared and discussed the foundations of the Third Angel's message and crticial aspects of the subject of Righteousness by Faith. We also looked at a framework for presenting the Adventist message making Christ the centre of every study. The key resource we used for this training was God's Last Message of Love Chart and Study series. This resource is free to download and use yourself. All five points work together to prevent an escape from the prison of lies that prevent a clear understanding of the gospel. We had such a blessed time sharing with the students. Sessions included personal mentoring sessions and then class work. We plan to do a similar series in Germany next year between July and September. Please contact us via www.maranathamedia.de for details of this. We are thankful to our Father in heaven for the expansion of translated materials. Some highlights include the translation into Hindi of the book Divine Pattern of Life. 3000 copies have been printed and are now being shared in northern India by a faithful pastor there. We also had 1000 copies of Life Matters printed in English and over 500 copies sent to individuals in the church in India. We have just had the German edition of Life Matters completed and is now going to print. This book will play a key role in the evangelism training program in Germany. 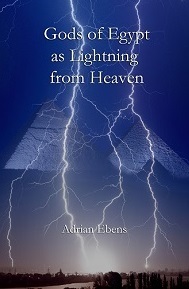 The book plays an very important role in showing the Third Angels Message and exposing the system Satan has created built upon the lie - you shall not surely die. 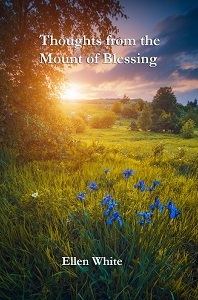 If you have not had a chance to read it, we would enocurage you to prayerfully do so to understand the framework of the channel of blessing and the heart of Maranatha Media. There are several other translation projects in the pipeline. We hope soon to have some books published in Russian. Thank you to all who are supporting us in this work. Important Study Series: Gospel Anchor Series. Recently our Bible study group in Brisbane went through a series called the Gospel Anchor series. This series takes a step by step approach from Daniel chapter 8 through to the 1888 message and Righteousness by Faith. It details an undersanding of the Daily of Daniel 8 and why this is important to understanding the covenants and establishing the date of 1844. 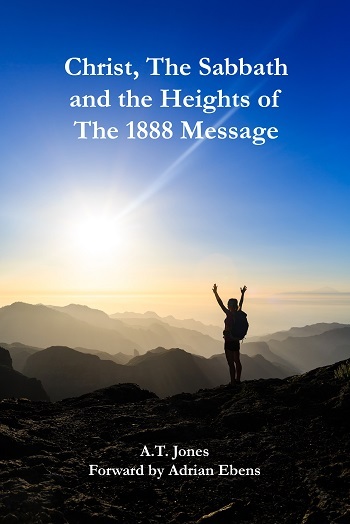 It then explores key Bible passages in Galatians 3 and explains the undersanding the E.J Waggoner was presenting in regarding on the Covenants that was so central to the 1888 message. For those who have an interest in the cause of truth, this series is important to grasp and understand to be secured against great confusion on these questions at the present time that is causing a great retreat from the pillars of Adventism especially the Sanctuary teaching and the process of sanctification involved in the investigative judgement. I also highly recommend you read the book by Paul Penno called Calvary at Sinai. I believe an understanding of this book is vital for those seeking to advance in an understanding of Righeousness by Faith. It is crticial to know what Ellen White endorsed in the message of E.J Waggoner and why. Here are the presentations. I am fully aware that some of these things require effort to understand and I also appreciate that some who are not grounded in the Adventist 1888 message may not be placed to appreciate its importance but as one who is called as an undershepherd of the Begotten Son, I am urging your consideration of this important subject if you wish to partake of those people who keep all the commandments of God by the faith of Jesus. Maranatha Media is planning to expand pastoral support in Australia for those who would like a visit from us. If you are a smal group or family that would like us to come and conduct a weekend of meetings or take a Sabbath message for you please contact us and we will see if we can to arrange to come. We are happy to visit where two or three are gathered in the name of the Begotten Son of God. We also will begin printing a newsletter for Australia which we hope to send out on a regular basis. We will draw details from our current online newsletter. If you know others that would be interested in receiving this newsletter please let us know. Please make sure you visit our websites to download a rich collection of books, charts, videos and articles for your study and for sharing with others. For those living in the Brisbane Area we have a Sabbath meeting on the second Sabbath of each month in the southern Brisbane area. Please contact us for details. Our next meeting is Nov 14. 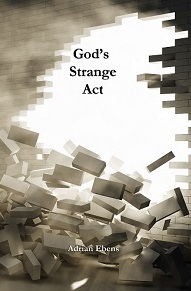 This series highlights a very important principle concerning the God that we worship and why. Eight parts in the series detailing the teaching of God and His Son in Christian History. The series is up to part 8 with three or four more to come. Great to share with friends you wish to introduce to the truth about God. Very professionally done. Produced by Talking Rock Sabbath Chappel. This series details the foundations of Adventism and literal rule of interpretation so critical to understanding the Sabbath sealing and the blessing of God in the Sabbath more fully. This is a recent series by Pastor Veith. I highly recommend you watch this series.